We have the tools to feed your goals. Customized Solutions We offer a variety of services that can be tailored to your business. Custom Cheese Blends For more than 30 years, weâ&#x20AC;&#x2122;ve been blending cheese at our facility in Rice, Minnesota. Today we process more than 600 different blends, and can design one just for your operation. The Freshest Seafood With decades of fish mongering experience, our seafood specialists inspect and fillet a variety of fresh fish daily. We source around the globe and bring the best cuts to your kitchen. We can even overnight freshly cut fish from our custom facility in Miami, Florida! Custom Cuts of The Best Meats Our experienced team hand-cuts the finest meat to exact customer specifications. From the best burger meat, to the finest steaks, weâ&#x20AC;&#x2122;ve got you covered. Fresh Ideas We are always offering up fresh ideas for your business. Our executive chefs help with menu inspiration, and our internal specialists, trainers and marketing consultants can help with other aspects of your business. We share their knowledge with you through emails, articles and recipes on our web site, our blog FoodCentric.com, Facebook, our mobile app and more. Innovative Tools We make marketing and menu creation easier than ever. PerformanceConnect app provides ideas, recipes, trends, and allows you to track your delivery truck. EandSPerformance.com features over 30,000 equipment and supply products you can purchase online and have shipped directly to you ASAP. PerformanceNet & PerformanceMobile Our enhanced online ordering system is supported on multiple browsers, and lets you customize your dashboard, view invoices, and perform enhanced product searches. 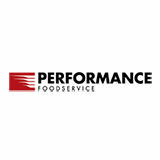 For more information on Performance Foodservice - Springfield, please visit PerformanceFoodservice.com/springfield. Menuetta marketing suite simplifies your online and social marketing efforts. Plan, schedule and implement all your initiatives with one single program. The key to a successful program is driven by quality, consistency, and the ability to service all sectors of the foodservice business. With the help of the team, John Carpenito and Mario Rodriguez have built the foundation of a successful produce program by embracing these ideals and adapting others, including a focus on locally grown and sustainable produce. John feels this focus is instrumental in our customers' success, as well as our success as a broadliner. Locally Grown Products: Adding local items to your menu will resonate well with your customers and demonstrate the progression and creativity in your menu. Sustainability: Conservation of our natural resources and good stewardship of the environment is important. Purchasing from local growers aids this ideal. Our produce team brings honesty, integrity and a sense of urgency to our location and delivers the safest and highest quality of fresh produce from local and regional sources. John and Mario bring passion to the business with their incredible tenure in the industry, 35 and 25 years respectively. Just like our produce, our talent blossoms and is picked and preserved when ripe. Mario Rodriguez Produce Quality Control Coordinator Mario has been with Performance Foodservice-Springfield for 25 years, operating as Produce Quality Control Coordinator for the last 15. During this time, he has gained an incredible understanding of the product mix, translating to thorough produce inspections. This allows for the best product available for our customer at all times. His passion for the job is infectious, and he is revered by our staff and vendors alike. What's more, Mario consistently has the customer's best interests in mind, making him a wonderful asset to the facility. John Carpenito Produce Category Manager John was introduced to the produce industry at a very young age by his family who owned and operated a wholesale and retail produce business in Boston, MA. Over the years, he gained an intimate understanding of the industry, achieved by walking the Boston Market and performing roles including quality control, purchasing direct from suppliers (growers) and delivery and distribution. He had not only gained a thorough understanding of the produce sector, but he had also established a strong work ethic serving him well in this position over the past 15 years. John remains vigilant maintaining the image behind the Peak Fresh Produceâ&#x201E;˘ label. 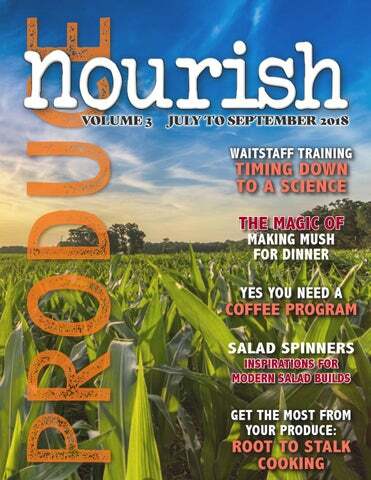 Launched in 2015, the team has been able to maintain a reliable program containing high quality produce items, creating a comfort zone amongst our customer base. The driving force behind its success lies in our customers and sales team. Without their necessary & constructive feedback, we could only anticipate needs based on market trends. Johnâ&#x20AC;&#x2122;s uncompromising desire for quality has built one of the strongest broadline produce programs in the Northeast. Informative, knowledgeable and on top of the latest trends, John is an incredible resource when making produce decisions in your operation. g r li es el ke se . Coffee Program So, your wine program is the talk of the town. Your craft cocktail program gets updated seasonally according to raves and online buzz. Your coffee program…. Wait, what? You don’t have a coffee program? Why not? People willingly drop big money on coffee, plus coffee is an integral closing part of any good meal service. It can even be a way to jump that check average up by ten or twenty bucks per person. Without coffee, they might not get that extravagant dessert or relaxing cordial to wrap things up. Or worse, they know someplace else to get that robust cup and either leave to spend that money elsewhere or never come in the first place because they want a fuller dining experience. The sad reality is too many restaurants treat coffee as an afterthought, and the lack of planning to integrate coffee into what is otherwise a well-choreographed meal shows. Yes, you made the pasta yourself with imported, small batch flour that’s been extruded from a custom ordered, hand-made bronze dye. The sausage was created in-house using a heritage pork breed. Everything is served on ceramic plates, made from locally sourced clay, thrown and glazed by two ladies living off the grid just outside of town. Your coffee, well, your coffee comes from the same machine and is served in the same Bunn carafes as the culinarily questionable greasy spoon down the street. Creating a coffee program can be a daunting and expensive task. High end machines can run into the tens of thousands of dollars and take up valuable space in your restaurant. Training your entire front of house staff to pull the perfect espresso is time consuming and can lead to wildly inconsistent results, while the volume needed to justify hiring a trained barista is simply out of reach for most small eateries. One option, especially for making specialty coffees like lattes, is to use flavored coffee pods. Itâ&#x20AC;&#x2122;s not the best coffee but it is consistent and fast. In 2013, Grub Street reported that around 30% of Michelin restaurants use pods citing space, consistency, and the ability to offer a wider array of choices as the impetus. Of course, do you really want to pair artificially flavored coffee pods with that blackberry pie your pastry chef just made with fresh berries from the much beloved local berry farm? Probably not. So, big, fancy coffee machines with all the bells and whistles are cost prohibitive and pods simply may not fit your culinary philosophy. The choice then is to keep it simple. Donâ&#x20AC;&#x2122;t try to compete with the local coffee houses. Simply serve a good cup of coffee and make it uniquely yours. First, find the right coffee. Either partner with a local roaster or get the right foodservice product that will provide you with constant availability and consistency. The right coffee also doesnâ&#x20AC;&#x2122;t mean the best rated or most expensive. Pick the blend that complements your food and clientele. A younger, hipper crowd might prefer a darker, bolder blend while an older, more refined crowd may opt for a lighter roast. Next you have to pick the right method. Traditional drip is fine but make sure it’s well maintained. Regularly clean the pots with salt and ice (1/2 cup salt and one cup ice in a room temperature pot, swirling the pot until the interior glass is crystal clean). Similarly clean the machine by running a cycle with vinegar added to the mix at least once a month (run it with clean water to remove the vinegar smell, because no one wants coffee vinegar…). Ditch the Bunn carafes. Thermal carafes come in many options to complement your look and style while keeping the coffee hot and fresh much longer, reducing waste and saving money over time. Another option is to take coffee making out of the kitchen and onto the main floor. Current cutting edge brewing techniques lend themselves nicely to table side service or even to just an open station in view of the diners. Kalita Wave brewing, the current trend setter for pour over coffee making, is sure to excite your diners. Sleek and stylish, it is also very simple, easy to clean, while working well with either thermal carafes or your own handblown glass carafes (in case those two off-grid ladies do that too). Other options for making coffee at the table include Chemex and AeroPress. Even the old standby, the French Press, is a great candidate. Making a small or large pot, beyond better pricing options and portion control, right in front of your guests ensures they know it’s fresh and builds anticipation for the hot brew. You can even offer steamed milk for a small up charge. Which brings us to the last thing to consider when creating your own coffee program, sugar. For artificial sweeteners, you have to go with sugar packets. For real sugar, consider sugar cubes. Perhaps both refined and Demerara. You can even get a little creative and serve a simple syrup in a small jug or a crystallized sugar swizzle. Small touches like these can elevate your coffee service into something special. A dinner is an experience. Every part is integral to the story you are trying to tell as a chef. Coffee is often the time your diners relax and mull over the experience they’ve just enjoyed. Don’t let a substandard cup of coffee be the last thing they recall. library. Niente. The only vegetable purées I turn up are in the form of soups, or side dishes meant to accompany meats, like mashed potatoes. And so I go back to the source himself, my old boss and culinary mentor. “It's a little like when you make dashi for the first time,” says Michael Anthony, Gramercy's executive chef, as we sip espressos in the airy dining room of his newest restaurant, Untitled at the Whitney. “You do all this work and then taste it and it's like, ‘That's it? Why'd I go through the trouble?’ But, that dashi, those purées, they're our building blocks.” The purées he employs at his restaurants—garlic simmered in milk, celery root with apple, spinach—can change with the season and appear in varying ways, including, of course, the cheffy practice of a swoop underneath a protein. But they are also used as thickeners and binders, just as I’d remembered. When you’re working with a carrot purée, it should taste like carrots, just carrots. “It’s not an overcomplicated style of cooking,” he told me. “When you’re working with a carrot purée, it should taste like carrots, just carrots.” In his new cookbook, V is for Vegetables, Anthony recommends folding purée into farro to give it more body and flavor without the added heaviness of butter or cream, and at Untitled, he adds a spoonful of onion purée to a mix of kale and radicchio for a riff on a classic creamed spinach, which accompanies a roasted and fried chicken dish. clique of nouvelle cuisine chefs— Paul Bocuse, Alain Chapel, Jean and Pierre Troisgros, and Frédy Girardet, who was famous for his thin, vinaigrette-like purées that pooled on the plate below meats—and then trickled to the States. Before we part, Anthony suggests I get in touch with one of these stateside purée fanatics, New York chef David Bouley. “So I’ll be Captain Kirk and you be Spock,” Bouley says, when I reach him on his cellphone a few days later to talk purée. Uh, oui, chef. Summer is here. Warm days and long evenings. Extended weekends full of holiday cookouts, grilling with friends and unless you’re lucky enough to be a tourist destination, empty tables. What can be done to keep that revenue flowing during the off season? You could start by thinking outside the box. The box being your restaurant. And outside being, well, outside. In today’s busy world, people love weekend cookouts and holiday barbecues, but many don’t have time to make a dish to bring. Add to that the increasing sophistication of people’s palates, along with a desire to show off to friends, and suddenly that quart of three-bean salad from the grocery store just doesn’t quite cut it anymore. Why not take advantage of the season and offer your menu as an alternative for all these needs? Look to your side and appetizer menu, even your dessert list, and let your imagination run. Got garlic mashed potatoes as a side? Maybe you’re well known for your gruyere mac-n-cheese. You probably already make these items in bulk—why not offer them in portion sizes perfect for picnic tables? Some items might not even require reheating. Your green bean and bacon side with a mustard vinaigrette? It’s just as good served cold as it is hot. Deviled eggs are hot right now. Lucky for you, they are easy for a kitchen to churn out in great numbers, deceptively simple, and endlessly customizable. Top them with crispy, chopped bacon or mix them up with your house-made relish. Flavor them with herbs and spices to match the style of your menu. No matter how you make them yours, when they arrive at the party, it’s doubtful there will be any left before the meats are finished grilling. Branding the platter with the name of your restaurant can’t hurt, lest someone else try to take credit for all that deliciousness. There really is no limit to the scale of your offerings, even main courses. Try a tray of fried chicken, burger for those who want the flavors of summer grilling without the work, or even taco kits with all the fixings. Hot dogs and sausages are easily made in-house. Offer a variety of grinds or allow the customer to customize the spices to better fit the theme for their weekend bash. And don’t forget to offer desserts. Whole pies and cakes can be stunning, but so can sampler platters that have broad appeal to both differing tastes and healthier eating habits. Helping a guest out with a side or creating the whole she-bang can help keep your staff busy on the weekends and before a big holiday, but what about the weekdays? If there’s a park nearby, offer picnics to-go. Loan or rent baskets and then fill them up. Try boxed lunches during the day, then perhaps cheese and charcuterie with crusty bread in the evening. Just don’t forget to check your local ABC laws before you add a bottle of wine to the basket. And it’s not just couples looking for a romantic setting that might want that picnic. Mom and dad picking up the kids from summer daycare might want to enjoy a dinner al fresco with the kids without having to worry about prep or clean-up. You know you already have regulars who love your food. Many will be thrilled to be able to take your food to their next weekend gathering. And if you break even, don’t fret. Your food on that table is the kind of advertising money can’t buy and your customers are suddenly your traveling sales team. People trying your food outside your restaurant box will be driven in to see what else you have to offer and when those pictures hit Instagram and Facebook, so will the whole community. People love eating out during the summer. Even if they’re not eating in your restaurant, you can make sure they’re still eating your food. Gone are the days of artificial and chemically produced flavors. Fresh, real flavors are what customers are looking for these days. One way to take advantage of seasonally fresh flavors is through fruit smoothies. Relatively easy to make, smoothies can help you leverage local produce that’s in season and appeal to health conscious customers who want to enjoy a refreshing beverage but are avoiding overly sugared sodas. From berries to melons, the seasonal abundance of fruit (and corresponding affordability) allows seasonally shifting choices that will keep interest as fresh as the fruit. Of course, after you’ve picked out your fruits for purée, either single or a blend of multiple fruits, what other choices can you make for an exciting beverage? First, you need a liquid to get the purée to a drinkable state. Apple juice or cider brings both liquid and flavor to the party but not might match with every fruit combination. A 1% milk will add smoothness to the drink or, for the lactose intolerant or those just avoiding dairy, almond milk will achieve a similar result. For true trendy appeal, try coconut water. reduce the amount of residual vegetable matter. Kale, carrots, even sweet potatoes, are all good candidates. The leafy vegetables, kale or spinach, do cry out for something with a little more substance, lest they become watery. A banana does the trick just fine. Sweet potatoes need to be peeled, baked, and cooled, you can bake the night before and let them get down to temperature over night. They also benefit from a little banana added and the result ends up tasting an awful lot like ice cream but with no added sugar. A quick hint about bananas, used in so many of these drinks. Cut them up into 1-2 inch pieces and pop in the freezer. It helps concentrate the naturally occurring sugars, makes them super soft (when no longer frozen) and easier to incorporate into the drink. Plus, this helps cool the drink down without diluting the flavors and ingredients with more ice. Then there’s never having to waste product that goes too ripe before you get a chance to use it. Your smoothie, of course, doesn’t just have to be a drink. Adding yogurt will thicken it up and you can top it with everything from granola to chia or flax seeds to make it a healthy and refreshing dish for breakfast or lunch. With a little pre-planning, it can also be overnight oats. Simply mix a 1/2 cup of rolled oats with a full cup of fruit purée and the liquid of your choice, let sit overnight in the fridge. No cooking required. You could even drop the fruit and add some peanut butter for an extra protein burst. Easily and trendily served in Mason or Weck jars for a stunning presentation. On the other hand, your smoothie could stay a drink. A real drink. Get some of that purée up to your bar staff and let them go to work on it. Who could really resist a little fig purée served up with tequila and splash of sherry and a squeeze of lime on a hot summer day? Huge, nutritious, and plentiful in hot climates, jackfruit is a food well-suited to a warming world. Oh, and some vegans think it tastes like pulled pork. Here’s the lowdown. WHAT IS JACKFRUIT? Depends on where you’re sitting. If you’re in some parts of south and southeast Asia—India, Bangladesh, Thailand—it’s an everyday food. The starchy unripe fruit can be cooked in curries, while sweet, ripe jackfruit complements sticky rice and ice cream. You can get jackfruit chips, jackfruit noodles, jackfruit papad. Followers of American vegan cooking blogs, on the other hand, will find unripe jackfruit compared, with confounding frequency, to “vegan pulled pork.” Seriously, it’s a thing. If you’re someone concerned about climate change and food production, though, you might see jackfruit as a “miracle,” as one researcher described it to the Guardian. It’s a good source of protein, potassium, calcium, and iron, it’s plentiful, and it has tons of uses. “It’s a very versatile fruit,” says Nyree Zerega, a plant biologist at Northwestern University and the Chicago Botanic Garden who studies “underutilized” crops. “It can be your main meal and your dessert all in one.” The seeds can be roasted and eaten, or ground into flour; even the timber from the jackfruit tree is useful. And jackfruit grows exuberantly in subtropical and tropical climates. Leela Punyaratabandhu, proprietor of the Thai-cooking blog SheSimmers, says that many people in Thailand grow up with two or three jackfruit trees in their backyard. WHY’S IT SUCH A BIG DEAL? Climate change. One of the promises of jackfruit is that, because it grows in tropical and subtropical areas, it’s more optimized for the warmer world that we’re barreling toward, whereas current staple crops like wheat will become harder to grow. Drought and heat waves are already affecting global yields on maize, wheat, and corn, and those effects will continue to accelerate. And it’s helpful that this nutritious, bountiful fruit grows well in places like India, which is home to about one-quarter of the world’s undernourished people. HOW DO YOU COOK IT? “You treat it like you would any other starch—give it the flavor you want it to take on,” says Zerega about the unripe fruit. Green jackfruit is also a bit stringy, which accounts for the pulled-pork thing. The mature fruit yields a number of discrete pods, which only have to be deseeded in order to be eaten. Punyaratabandhu thinks unripe jackfruit tastes sort of like artichoke hearts—so much so that when she first came to the U.S. and felt nostalgic for jackfruit curry, she’d use canned artichoke hearts instead. The ripe fruit, which has a bright, banana-ish flavor, can take the place of mango atop sticky rice (or the pods can be stuffed with the rice) or it can be served over ice cream. “The best way to enjoy [ripe] jackfruit is right out of hand,” Punyaratabandhu says. Jackfruit leaves aren’t much on their own, but food can be wrapped in them for cooking, in the manner of banana leaves. “In my family we’d make fermented rice all the time,” she says. “My grandmother would use the jackfruit leaf to wrap the sticky rice while it’s fermenting.” The Jackfruit Company, seizing on its Next Big Thing potential, has released a line of meals in a pouch that capitalize on the meaty texture of jackfruit with flavors like barbecue, Tex-Mex, teriyaki, and curry. They’re available in stores across the country, including Whole Foods and Wegman’s. We tried a few in the office recently, and while they were good, no one will soon be mistaking them for pulled pork. WHERE DO I GET IT UNPREPARED, THOUGH? Asian markets, mostly, though you can also find it at the occasional major store: Zerega says she saw some jackfruit randomly make an appearance in supermarkets in suburban Chicago recently, and just as quickly disappear. It comes canned and fresh. And vendors will often sell it in pieces, rather than whole, so take heart: You can leave the front-end loader at home. From customer service and sommeliers, there are many rules and standards that are expected to be followed when working in a formal dining environment. Though some etiquette practices may seem like common sense to some servers, others may be unfamiliar to new employees who arenâ&#x20AC;&#x2122;t used to working at formal restaurants or banquets. While most techniques can be mastered over time, weâ&#x20AC;&#x2122;ve provided a timing guide to optimize the customer experience. From initial greeting to the final departure, these tips and tricks will help newbies and veterans alike. Key Points: Guest should be acknowledged and told you will be right with them. Key Points: Water service and drink orders need to be prompt. Key Points: Appetizer orders can also be taken with beverage orders. This is also a good time to announce specials and present the wine list. Key Points: Wine service is dependent upon guest preference and sometimes is preferred right before entrée service. Soups and salads may be served when appetizers are almost finished. entrée service and check-up Entrée Service Timing: After salads/soups have been cleared Key Points: Allow salads to be completed before serving entrées so you don’t rush the guest. Clear salad and any leftover appetizer plates before serving entrées. Fill beverages, rolls, etc. before leaving the table. Also check for additional service ware needs (forks, knives, etc.). Key Points: Promptly check for doneness, correct order, quality and temperature within 1-2 minutes of service. dessert & after dinner drinks Clear Plates Timing: Upon completion of entrĂŠes Key Points: Finished plates, glassware, service ware, etc. should be cleared throughout the entire service process. However, it is particularly important to clear and crumb the table before asking for dessert orders. 40-50+ minutes check, payment & table turn Check Presentation Timing: Near or after the completion of dessert Key Points: Always check for more orders or refills before presenting the guest check. Ensure that all finished service ware has been cleared. Key Points: Never rush the guest to pay but be ready to process payment as soon as the guest has presented cash or credit card so that the change may be given and charge slips may be signed. Key Points: Once a guest has left the staff should immediately clean and reset the table so other guests don't have to view it and another guest may be seated promptly. Culinary trends are constantly on the move. Some pop big with lots of buzz and perhaps a bit overuse, like sous vide, before settling into becoming a somewhat commonplace technique used effectively for some dishes. Others, like foams, devolve into culinary punchlines. Spiralized vegetables, or zoodles, looks like it might be on track to have some staying power. Typically made from zucchini, hence the Z, zoodles have crossed the boundary from restaurant to home kitchens cementing their popularity. Part of that is driven by the gluten free and reduced carb trends; the rest is that they are both tasty and versatile. Any Pasta Dish Can Have Their Noodles Replaced with Zoodles. Blanching in salted boiling water or a quick steam are common preparation methods, just be careful not to overcook lest the zucchini become limp and mushy. You can even skip precooking, just slip the zoodles into a sautĂŠ pan with the sauce and heat while tossing. A simple basil red sauce, maybe with some sliced hot Italian sausage, then finished with a little freshly shaved Parmesan is really all you need but nearly any sauce/protein combination can work. You could even list on your menu not as a separate dish but as a healthy option to your normal pasta dishes. There is no need, however, to limit zoodles to pasta style dishes. They make great salads and slaws as well. The freshest zucchini zoodles can be served raw, although you can really dial up the color and taste with a quick blanch followed by an ice bath. Tossed with mayonnaise or dressings, they perform well as a bright and crunchy side dish or as a topping on, say, a pulled pork sandwich either a traditional slaw dressing of mayonnaise and sour cream or with a simple, sweetened vinegar dressing. You could even bind the zoodles together with flour and egg to make a pretty amazing latke. The flour kind of defeats the purpose of low carb and gluten free so you could sub it out for either almond (make sure you have an allergy warning) or coconut flour, just keep in mind those have very different flavor profiles so you might want to experiment with flour blends and maybe even some fresh herbs and spices to achieve your desired result. Dress the plate with the traditional accoutrements like sour cream and applesauce for the best fusion of nostalgic and contemporary. Zoodles are Perfect for Breakfast, Lunch or Dinner Lunch and dinner also shouldn’t be the only time to consider zoodles. Potato heavy skillets and bowls are very popular these days for breakfast, and zoodles are a healthy alternative to all that starch. Soften onions and peppers in a cast iron skillet with a little olive oil, toss with zoodles and crispy, chopped bacon then top with a couple of poached eggs and shredded Gruyère. Voila, a great high protein/low carb way to start any day. Zucchini is also not the only vegetable you can use. Drop the first letter from zoodle to match your veggie and you’re good to go. Coodles when you use carrots. For parsnips you’ve got poodles. OK, no one wants to put poodles on their menu… Besides, zoodles is fast becoming a more generic term that can apply to more than just spiralized zucchini, best to just stick to that and modify it with the name of the vegetable used. Get Creative with Your Veggies The point is, most any firm or hard vegetable will do. Some, like carrots, you can serve raw and lightly dressed. Others, like sweet potato, require cooking. You also need to be aware of how the vegetable changes when heat is applied. Some will fragment into shorter pieces with too much while others, like sweet potato, turn to mush if overcooked. In nearly all the cases, fast cooking is good, from frats blanching to deep frying. Slower methods tend to break the zoodles into increasingly smaller pieces lowering the visual appeal. Zoodles can also help reduce waste and lower food costs. Already offering fresh broccoli on your menu? What do you do with the large center stalk? Try peeling it then run it through your spiralizer. A quick blanch and what you used to throw away is suddenly ready for the table in a slaw or side. So, there you have it, a well-established cooking trend that is endlessly versatile and adaptable. Zoodles can help you appeal to today’s tastes and cater to those with gluten issues or trying to reduce their carb intake. Plus you might be able to reduce waste and lower food costs in the process. Everybody wins! Raw, edible portions. Percent Daily Values (%DV) are based on a 2000 calorie diet. *Unless otherwise stated n/a=not available Vegetables contain no cholesterol. Most contain negligible amounts of saturated and trans fats. It wasn’t so long ago that hummus was only found at Middle Eastern restaurants and in grocery stores. But thanks to a number of drivers, this unassuming spread of chickpeas, tahini, garlic and lemon juice is seen on menus across the country. In fact, hummus is familiar enough to the average consumer now that chefs are spinning it into signature iterations—playing with both the build and the application. For example, the classic American eatery King & Duke in Atlanta serves a White Bean and Rosemary Hummus with toasted pita chips. E+O Food and Drink, a global-focused restaurant in Mount Prospect, Ill., menus a Smoked Pea “Hummous” with fried cauliflower and toasted almonds. And at Cava, a Mediterranean fast casual based in Washington, D.C., hummus is offered as a component of its salads, grain bowls and wraps. The drivers that have propelled all this hummus play include an enthusiastic embrace of Eastern Mediterranean cuisine, the red-hot veg-centric movement, a culinary exploration in smooth textural contrasts, and a continuing love of shareable, snackable foods. potential of other plant-based purées. with harissa, spooned as a base for wood-grilled sirloin. At Young Joni, a modern woodfired pizzeria in Minneapolis, an appetizer of cauliflower, shishito peppers, saffron chermoula, pickled Fresno, golden raisins and almond picada sits on a purée of creamy cauliflower. they’re concentrated, so you get a big flavor impact.” Another flavor combination Slavin likes is cauliflower and apple. “Use it as a schmear on the plate—it gives you thoughtful flavor intent under a protein,” he says. To intensify flavor, Slavin will salt carrots or beets, then freeze them. “Once you purée, you get this beautiful, raw flavor. It’s almost like you’re curing them,” he says. For salads, he says the purées act as a great flavor pop. “Dress your salad with a vinaigrette, then drizzle a little bit of the purée on top. You don’t want to weigh the salad down, but it’ll give you great pockets of flavor.” There’s an operational upside, too: Puréeing vegetables means you can make use of the untidy bits. “For the chef, these plant purées offer various colors, textures and flavors. They also tend to be more cost effective, as the product being used is often a scrap or byproduct,” says Chris Casson, chef and director of produce & specialty foods with foodservice distributor Shamrock Foods. “Examples include utilizing the cauliflower or broccoli stems, as they’re typically flavor-packed and still provide the color pop that chefs desire. Kitchens can take the scrap as they prep the vegetables and go virtually ‘no waste.’” Casson suggests blanching the vegetables in salted water or highly seasoned stock, then puréeing and chilling them for use in multiple applications. notoriously hard to cultivate and many still must be harvested by hand in the wild. Science has helped, and exotic mushroom farmers have cropped up, but there’s still plenty of progress to make. roasting, imparting more flavor than their more-common cousin. They also hold up well in soups, creating a darker, richer bisque. Don’t purée all of them though. Sliced and sautéed, they add a nice visual touch to the bowl. Also, the right choice to add to rich and tangy tomato sauces for pasta. Portobello - A decade ago, portobellos all but jumped the shark. They were everywhere, from fine dining to your neighborhood grill, mainly as a substitute for meat on a burger at a time when vegetarian options were limited. Choices for vegetarians have exploded since then and perhaps it is time to let the portobello creep back onto menus. Just move away from the expected grilled and balsamic vinegar combinations that dominated before. Try stuffing with meat and cheese for a Philly Cheesesteak version or use as an amazing layer inside your veggie lasagna. Morels - Pairing mushrooms with seafood can be tricky; the flavors don’t always mesh well together. But the morel can fit right in, pairing well with delicate fish like Dover sole and excellent tossed with pasta, shrimp, and chopped asparagus. Morels shine when served with a little dairy, so a creamy morel and bay scallop casserole makes a rich and decadent dish. Chanterelle - Instantly recognizable, chanterelles always stand out on the plate. In a soup you’d be remiss in not floating some on top of the bowl for that “wow” factor. For a special appetizer or small plate, sauté chanterelles with chopped bacon and serve simply on toast with a little shaved Parmesan. Offer a pairing of a nice Riesling to increase enjoyment. Matsutake - Extremely popular in Japan and wildly expensive there, fortunately they’re much cheaper and affordable here in the U.S. Try a classic preparation, like Matsutake Gohan, to really give this mushroom the platform it deserves: with the mushrooms cooked in the rice, which absorbs the flavors as it cooks. Or, even more simple, sliced and simmered in a clear dashi broth. For a bar snack, fry them tempura style and present with a citrusy ponzu sauce. Porcini - Probably the classic Italian pasta mushroom, especially with cream and a little thyme then tossed with fettuccine. Sometimes hard to find fresh in the U.S., dried versions are more common and less expensive. Remember to reserve the liquid when rehydrating, it can be used to intensify the flavors of the dish or repurposed into your next batch of stock. Oyster - The perfect base for any wild mushroom sauté. You can also pair it with other wild and cultivated mushrooms, from crimini to chanterelle, to make an amazing wild mushroom pâté. Sautéed with butter, shallots, and sherry, then puréed with cream and freshly-toasted ground almonds before being baked in a terrine, you’ve got the texture and mouthfeel of a traditional pâté for the vegetarian crowd. Hen of the Woods/Maitake - This hand-foraged mushroom is probably the hottest mushroom on menus right now. Pan-roasted in one piece, it’s the kind of vegetarian dish that will also appeal to steak lovers. For the adventurous, slather with an anchovy sauce or go simple with a miso butter. Either way, it’s a visually exciting entrée that will dominate your Instagram tags. Truffle - Truffles have been complicated of late. The trend to truffle oil has been giving it a bad name, especially since, while it may be cheaper, it contains no truffle and is basically a chemically-enhanced perfume. Diners are increasingly left thinking they don’t like truffle. Dump the truffle fries. Introduce them to cacio e pepe, one of the most classic Italian pasta dishes—simply cheese and pepper—and shave a little truffle on top of dish. Your diners will walk away with a new appreciation of the elusive fungus. Between the global supply chain and better applied technology for cultivation, there’s never been a better time to add mushrooms to your kitchen’s pantry in a significant way. With more and more professional foragers, even the mushrooms that must be handforaged are easier for restaurateurs to procure and consistently offer. Add to that, their appeal to both meat-eaters and meat-avoiders and it becomes clear that you need fungus on your menu. *Unless otherwise stated n/a=not available Fruits contain no cholesterol. Most contain negligible amounts of saturated and trans fats. Advocados contain 1.6g saturated fat in 1/2 cup. delights anywhere on your menu: Stocks, soups, stews. Leek tops, leftover carrot tips and the outer leaves of Romaine lettuce boost the flavor profile. Salads. Cauliflower leaves, turnip greens and beet leaves add variety to salads. Braises and roasts. Fennel stalks and fronds infuse flavor into braises and roasts, even replacing traditional ingredients like celery and dill. Sauces. Carrot tops and fennel fronds add a new dimension to pesto, salsa verde, gremolata and other sauces. Garnishes. Carrot tops and fried fennel fronds serve as garnishes at Bellanico. Side dishes. Swiss chard stems have inspired many dishes at Bellanico, says Luce, who has prepared them as a gratin as well as tempura-battered and deep-fried. won’t stay fresh as long as carrots. Extend their longevity by freezing items such as carrot-top pesto. Do a safety check. While most plant parts are edible, some aren’t. If you haven’t heard of an item being used, Duggan advises that you research it before incorporating it into your dishes. Environmental initiatives extend beyond the building and into our daily decisions. Through aggressive composting and recycling, we hope to divert 90% of our waste from landfills. We are buying more local and regional products and working with our customers and vendors to reduce packaging. With a renewed focus on locality and sustainability, Dartmouth Collegeâ&#x20AC;&#x2122;s Dining Services continues to operate as one of the top rated college foodservice facilities in the country. This is all achieved under the leadership of director Jon Plodzik, and these initiatives helped diminish their carbon footprint! A few members of our specialist team partnered with Culinary Operations Manager C. Robert Lester to create a more plant centric menu at one of their locations, Gathering Greens at the Courtyard CafĂŠ. At Gathering Greens, students choose from a variety of salad options to be hand tossed by staff members. Countless customization items are offered, rotating by availability and seasonality to keep the concept fresh. During our visit we introduced two plant-centric salads into the mix, a Mediterranean Pasta Salad and the Southwest Salad. Moreover, the Lemon Chicken Salad was pilot tested through a sampling with the students, incorporating a portability option by utilizing lettuce cups. In addition to the salad build options, we offered red lentil pasta, prewashed quinoa and power salad blend separately, including superfood items, to add substance to potential customized dishes. The student response was incredible: these base options were added onto their customized creations, taking preference to the Mediterranean Pasta Salad components. Furthermore, the Lemon Chicken Salad Cups received tremendous success, and the lettuce cups are now under consideration for their grab and go concept to appear next Fall. On behalf of our specialist team, it was truly a pleasure working with the Dartmouth culinary team and it was such a rewarding experience. Thank you for the opportunity to help conceptualize a plant-centric menu, and we look forward to the continued innovation in the dining services department!